Don't let a lack of funds keep you from having an exciting and dynamic All-Stars for Jesus program. Here are some ideas for funding your Bible clubs. For even more ideas plus a kick-off party with reproducible invitations and patterns, download the FREE report: How to Pay for Your All-Stars for Jesus Bible Club. Have an annual registration fee of $20.00 to $25.00 per child. Just as sports teams have a sign-up fee for equipment and supply costs, your All-Stars for Jesus Bible clubs can, too. Let your students' parents know that the registration fee will help to cover the costs of shirt, caps, pennants, and awards. Provide scholarships for needy families and "family packages" so no family has to pay more than $75.00 (or whatever amount you set). Have church members sponsor children whose families can't afford to pay the entire amount. Have a special Bible Club offering over five weeks, and challenge your congregation to reach a certain goal. Give an update following each week, letting everyone know how much was raised. Have an artistic church member draw a thermometer with some benchmarks indicated at the quarter, half, and three-quarter points, with the goal at the top. Color the "mercury" in the thermometer red each week to show how the offering is progressing. Collect a different coin each week for the first four weeks (of course other coins and bills are welcome, too! ): Week 1 pennies, Week 2 nickels, Week 3 dimes, Week 4 quarters, Week 5 bills. 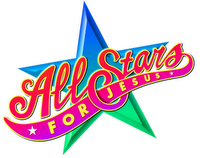 Have your church members sponsor children for All-Stars for Jesus Bible Clubs. Read the free report for bulletin board ideas. Most people will jump at the chance to support children in a positive, Bible-teaching program. Have sponsors purchase stars for the entire Bible club registration amount or an amount of their choosing. Cut out two stars for each of of your donors—one to add to your "Hall of Fame" bulletin board. Write a note of thanks on the other star and give it to the donor (or have the child receiving the scholarship write the note). Encourage your congregation to clean out their closets and garages and bring the unneeded items (in good condition) to the church for a giant rummage sale. Be sure to advertise that all the proceeds will be used to fund the All-Stars for Jesus Bible Club programs at your church. Have children and teens from your church set up a bake sale at the rummage sale to sell donuts, coffee, muffins, cookies, and juice donated (and baked) by members of your congregation. 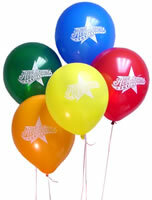 Ask several local businesses to sponsor your All-stars for Jesus Bible Clubs. Include the business names on all promotional materials and encourage your congregation members to frequent those businesses. Create a donor star for each business and add them to your "Hall of Fame" bulletin board. Make a list of items needed for your Bible clubs and the cost of each item. Print each item needed and its price on a sticky note (notes shaped like stars would be great). Post the notes on a bulletin board or wall and have your congregation members go "shopping." Each member can choose a sticky note and then pay for the items at the All-Stars Sponsor Table or your church office. Give each "shopper" a donor star on which to print his name and then add to your "Hall of Fame." For more fundraising ideas, download the FREE report: How to Pay for Your All-Stars for Jesus Bible Club.